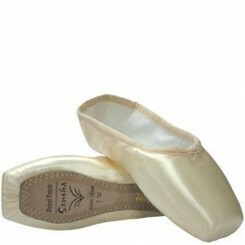 Ideal for students.Easy demi pointe passage.Square box .. 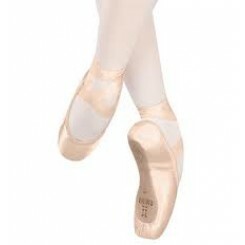 Suitable for beginners.Slightly tapered,feathered toe box.Medium vamp,low sides.Wide high platfor..
Broad feathered toe box.Medium vamp.New pleating with quiet toe construction .. 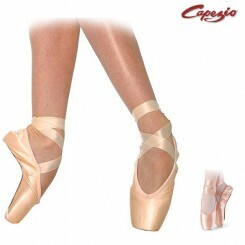 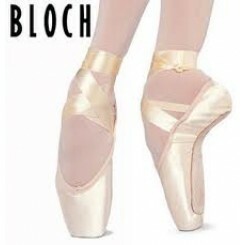 Features of 2007 but with a new Noise-Reducing strip on the pointe platform and on the sole under.. 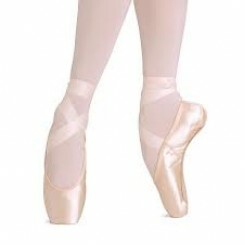 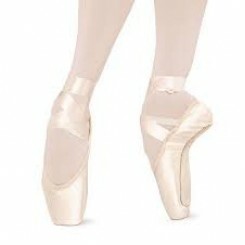 Suitable for beginners and advanced dancers.Not suitable for a foot with an extreme arch or with ..
Quieter version of fouette.V-shaped medium vamp and excellent shoes for fuller and wider square s..
Demi pointe shoe without shank.Not to be used for pointe work. 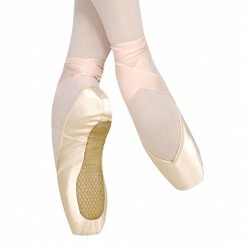 ''Pointee'' box ..